Facebook is one of the social networking sites that are being used by business owners as one way of promoting their business. These social networking sites have millions of members and is growing everyday, making it a good venue to promote products and services. Back in the days, companies use traditional method of marketing and advertising through newspaper, magazines, TV and radio ads and more. With the boom of the Internet and the birth of social networking sites like Facebook, the way companies promote their products and services has changed too and they have included social media as part of their Internet marketing campaign. Last March 2012, Facebook introduced a new layout called Facebook timeline, which has been implemented to all Facebook pages. This affects both personal accounts and business pages. Businesses have been enjoying the many advantages that Facebook brings and in order to continue reaping these benefits, they must understand and learn how the new layout works. The cover photo is a large image of 850 x 315 pixels in size, which can act as a banner image for your business as it spans the width of the page. There are certain restrictions however for the image that can be use as the cover photo such as advertising in the form of pricing, contact information, call to action and the like are not allowed. But this is a great way to highlight the products and services that you are offering by using images like a collage of your business picture, as this is the first image that people will see when they visit your page. In the new timeline layout for business pages, there will be no more default landing tab. Instead, a welcome tab is being offered and it allows one to add 12 applications that will highlight the business. There are two default applications added to the welcome tab, which are the Photos and the Likes app and 10 more apps can be added. Only 4 apps appears at the welcome tab so it is important that the right app is selected that will represent the business best like Videos about your business, past Events and more. 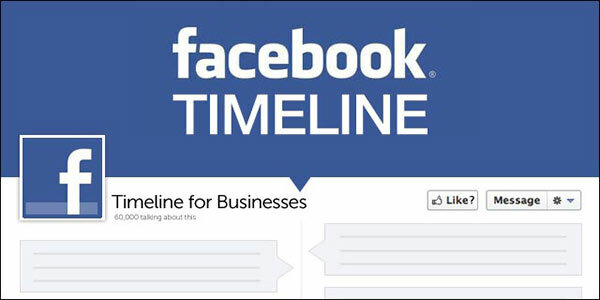 The new timeline layout allows business pages to highlight a particular event. Highlighting the event will spread the post across the width of the page for more emphasis. If you want the post to always stay at the top of the page, you can pin it and it will stay there for up to 7 days. The pinned post can be removed from the top of the page anytime before the 7-day period or can be re-pinned back after a week. This feature of the timeline allows one to add an important event in the company with photos and information about the event to give more details to your fans. The new timeline allows users to send private message to admin even if they are not fans of the page. This gives additional means for the admin to interact with their prospective clients. With this feature, fans will be able to receive offers from the company in their news feed and will be able to share it as well in their wall. If fans wish to avail of the offer, they just have to click the “Get Offer” link for instant availment. You can do a lot of things from the Admin Panel like manage permissions for the page, build audience by sharing the page and inviting friends, use activity log and more. By learning the ropes of the new Facebook layout, business owners will continue to reap the many benefits that they get from Facebook in promoting their business and generating leads and revenues for their company.